An emergent tradition at SUNY New Paltz continued on Friday, Nov. 9, at the fifth annual Veterans Day Dining In Ceremony, as campus administrators, notable alumni, and leaders in the regional veteran and military community gathered to pay tribute to the growing numbers of military service members, veterans and dependents who study, work and live at the College. The evening included keynote remarks from two current New Paltz students and two alumni; musical performances by renowned lyricist, Army Master Sgt. 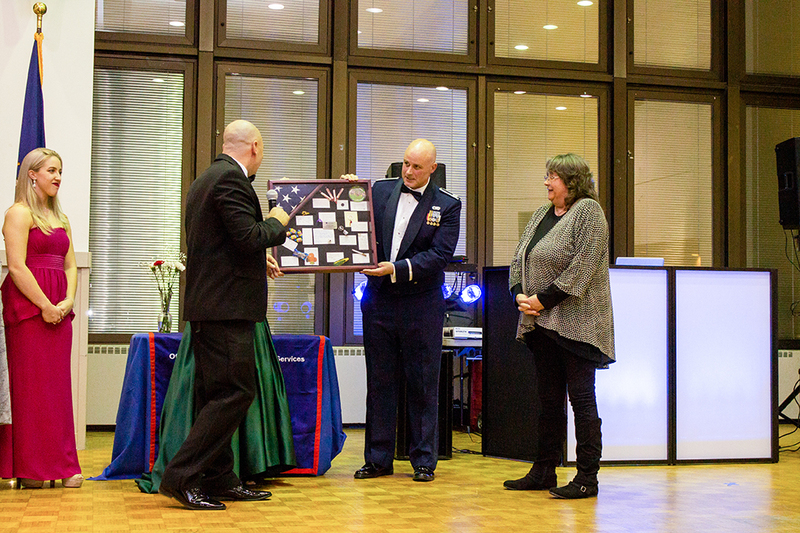 Mary Kay Messenger; recognition for veteran members of the campus community who served in American conflicts dating back to World War II; and a moving tribute to Dorothy “Dot” Padin, who has served veteran and military students at the College for many years. Steven Brody ’73 (Psychology), a New Paltz alumnus, surgeon and U.S. Army veteran, offered some perspective about how far SUNY New Paltz has come in serving military-affiliated students, of whom there are currently more than 400 enrolled. Daniel Oles ’19 (Digital Media Production), a Brooklyn, N.Y.-born transfer student currently serving in the U.S. Marine Corps, spoke about the meaning of military service and camaraderie. Another student speaker, Dominique Torrez ’22 (Theatre Arts), provided the perspective of the significant number of dependent students at SUNY New Paltz, many of whom, like her, grew up as “military brats,” moving between bases throughout their childhoods. 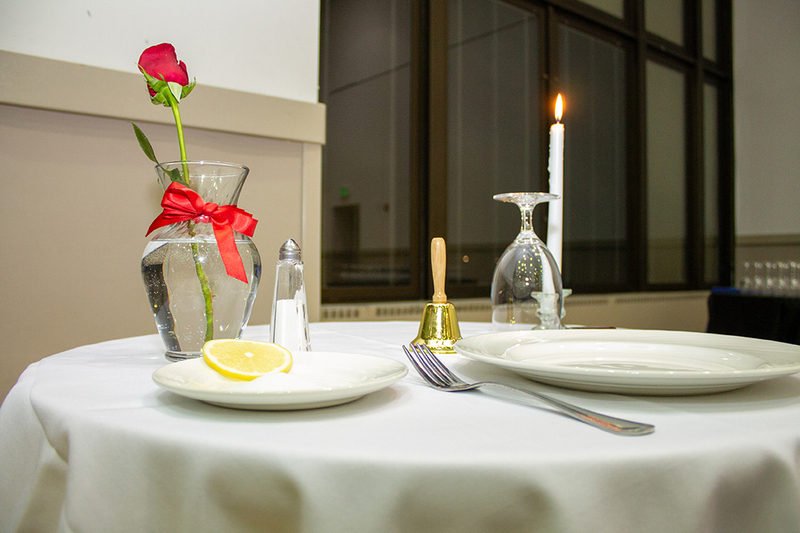 A table set for one: The empty chair helps us remember the POW and MIA service members unable to dine with us this evening. 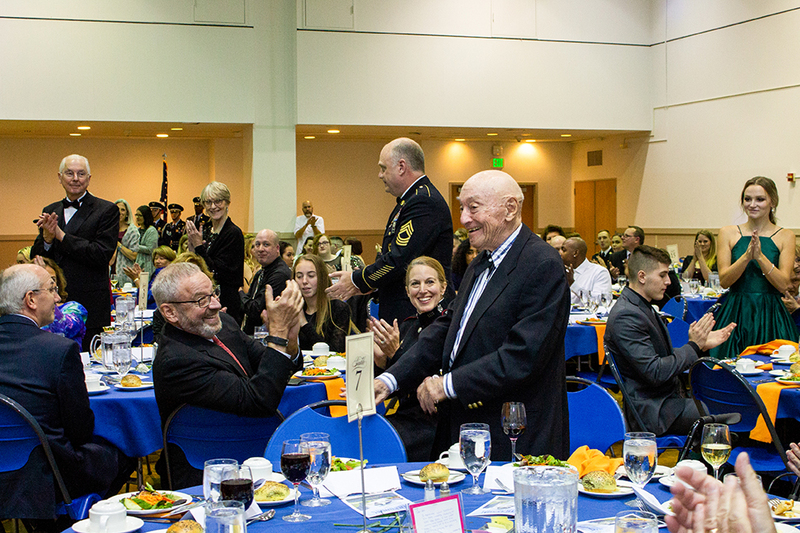 Notable guests at this year’s Veterans Day Dining In included New Paltz alumnus Colonel Joseph Davidson ’90 (Political Science), Deputy Commandant at the U.S. Military Academy, and Howard Cohen, New Paltz professor emeritus and World War II veteran. Visit us online to learn more about SUNY New Paltz’s military and veteran community.